Not even craft beer can escape the adage — everything old is new again. Picture it: it’s 1992. 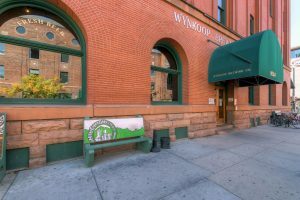 Wynkoop Brewing Company is in it’s fourth year of small-batch beer making in the heart of downtown Denver (before LoDo was even a thing), Mile High mayordom not even a thought on John Hickenlooper’s mind, and those seasoned brewers we know today are still wet behind the ears, just getting started. During this period of craft beer making – brewers could be likened to migrant workers. They followed the work and moved freely about the country in pursuit of producing the finest craft ales and lagers. 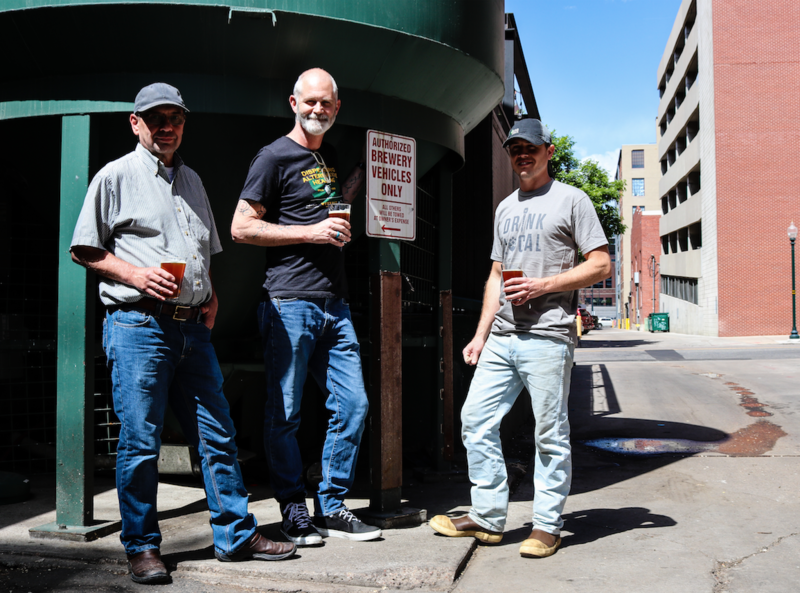 One Colorado beer in particular, Vail Pale Ale, stitches together the rich history of early on micro-brewing with two rather familiar brewers — Wynkoop’s own Head Brewer John Sims and Denver’s Station 26 Head Brewer Wayne Waananen. Vail Pale Ale revivalists, Wayne Waananen, John Sims, and Charles McManus. As luck would have it, the beer turned out to be a hit. 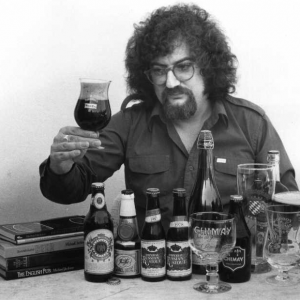 Waananen says that Michael Jackson (the English craft beer one) even reviewed it in his Pocket Guide to Beer. Michael Jackson, beer critic. Photo credit to tomacitelli.com. “It was entered into GABF for the first time in 1992 as Solstice Ale and it won a gold medal. It did not medal in ’93 but with a name change to Vail Pale Ale it won gold again in 1994. In 1994 some investors in Dallas wanted their own Hubcap, so I was down their for a few months working with the trades and training brewers to make the beers I was making in Vail. I left Hubcap in 1995 to open the Sandlot Brewery at Coors Field. The brewers I trained in Dallas entered Vail Pale Ale in GABF that year, and the recipe again won the gold medal. Fast forward 22 years and I am working at Station 26 and I am introduced to the latest in a long line of head brewers at Wynkoop. It turns out he was one of the brewers I trained in Dallas For the Hubcap. We chatted for a bit and both decided we needed to brew Vail Pale Ale again. Craft beer history is made here and we’ve got a long line of brewers to prove it. 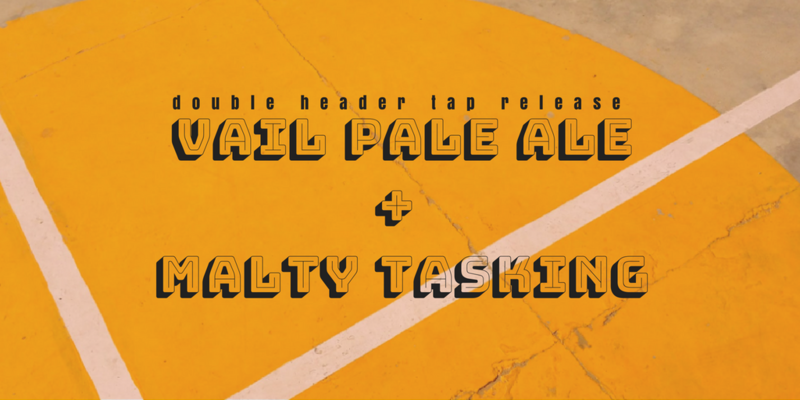 Wayne and John’s (and their respective teams) collaboration on this throwback pale ale can be experienced firsthand this Saturday, May 26th, as Vail Pale Ale makes it’s triumphant return along with the debut of Malty Tasking an unrelated, but equally tasty, Brown Ale served on Nitro featuring flavorful notes of brownies, chocolate chip cookies and malted milkshakes. 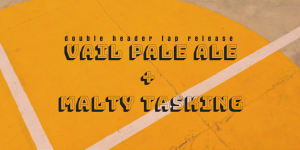 Information on this tasting and other free tap release events can be found on Wynkoop’s Facebook page. Craft beer collaborations are meant to be celebrated. A special thanks to Station 26, Wayne Waananen and his team, for it’s part in breathing back life into a Colorado classic. For more info on Wynkoop Brewing Company, it’s history, brewers and beers click here.